$15,000 price drop! 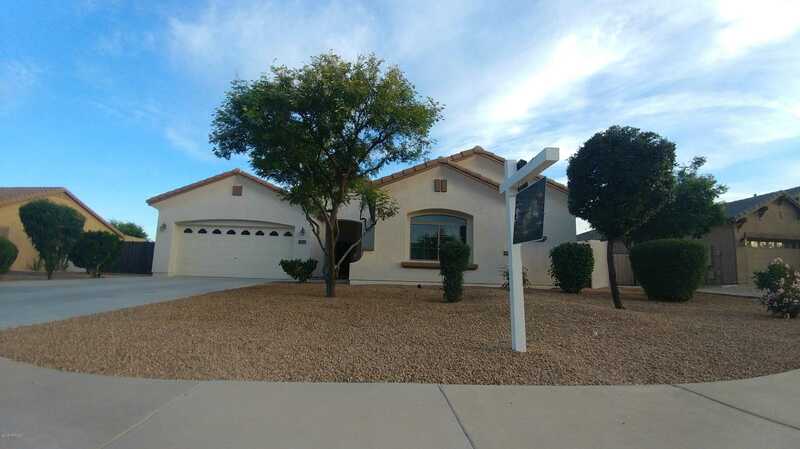 Gorgeous & meticulously clean, single story 2377 sq ft home. 4 bedroom, 2.5 bath plus den/office. On-site RV parking permitted on huge lot. Fresh interior & exterior paint, additional parking in front of RV gate. Formal living room and spacious family room with plush carpet and pristine tile in all of the right places. Open concept kitchen is perfect for entertaining, boasting granite counter tops, warm cherry wood cabinetry and an island/breakfast bar. Master suite includes a lavish en-suite with dual sinks and separate tub and shower and a separate entrance/exit. Additional features include: Surround sound wiring, covered rear patio, Energy Star building specs, RV electrical hookup, & soft water loop. Schedule your viewing today, this home is priced to sell! Directions: From Camelback travel north on Perryville Rd. Take first right. Left on 186th Dr. Right on Georgia Ave. Follow to address on your right. Approximate size: 11180.00 sq. ft.